American Garage Door, LLC, located in Shinnston, WV, is family owned and operated. Our friendly staff has over 65 years of experience in the garage door industry. Whether you have a broken spring or cable, want to purchase a new garage door operator, or need a whole new garage door, we are the folks for you. We are down-to-earth and give dependable, expert advice on all things garage doors! When you are in the market for a new garage door, contact the best in the area, American Garage Door, at (304) 592-0936. Our staff knows the ins and outs of garage door sales, service, and repair. At American Garage Door, we service most garage doors and sell only the highest quality of garage doors and products. 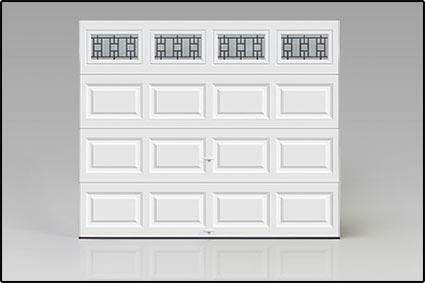 Our expertise extends to all garage doors including, residential, commercial, and industrial doors. We offer products from the top manufactures in the industry, such as Raynor, Clopay, and LiftMaster. American Garage Door sells the best in manufactured materials. We have an experienced team that will work with you every step of the way. Our staff will make sure they have an understanding of the look, style, and operation you are searching for. We offer everything from a simple, single-stall garage door for your home to a rolling steel door for an industrial building. Services at American Garage Door range from new construction to garage door upgrades, replacements, and maintenance. Whether you are sprucing up a bit or replacing to sell, our top-of-the-line products are sure to add fantastic curb appeal to your home. Why Choose American Garage Door? We ensure your garage door system is installed properly and working correctly from the start! Our technicians are full-time employees, trained by our company to maintain our high standards. Along with quality installation, our service is timely and reliable at an affordable cost. We have a variety of residential door brands and styles on display in our office in Shinnston, WV. Our courteous staff will be happy to answer all your questions about ordering and assist you with selecting the perfect garage door. We understand this is a big decision, and we want our customers to be 100% satisfied. Call (304) 592-0936 for more information or to make an appointment.